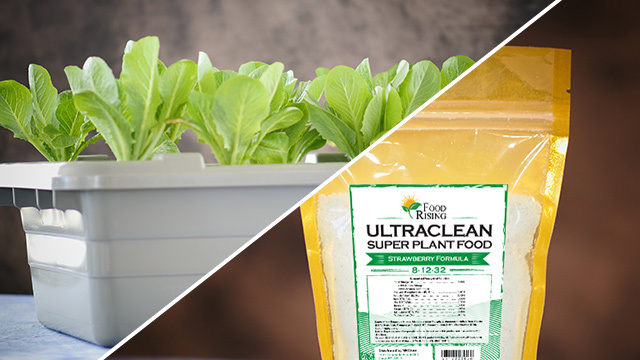 The following plant nutrition guide offers detailed guidance on nutrient concentrations and pH levels for different types of plants as well as their growth stages. The plant nutrient recommendations below are based on adding nutrients to 10 gallons of water. Divide the recommendations by 3 if you are using a 3.5 gallon pail (water reservoir) which ships with the systems. Always test the ppm of your water + nutrient solutions to keep them within a proper range. Typically, starting plants (sprouting seeds, or growing very young starts) should use a lower concentration of nutrients such as 1200 ppm. Mature plants usually require higher concentrations, around 1500 - 1600 ppm. ppm = parts per million. You can assess the parts per million of the nutrients in your water by using a low-cost TDS meter purchased for about $10 - $15 from Amazon.com. pH = Acid/Alkaline level. Low pH is more acidic. High pH is more alkaline. Most plants prefer a pH between 6.0 and 7.0, but they can usually survive in a range of 5.5 to 7.5. Recommended to add nitrogen for herbs. Can use either calcium nitrate or potassium nitrate at around 2 grams per 10 gallons of water.